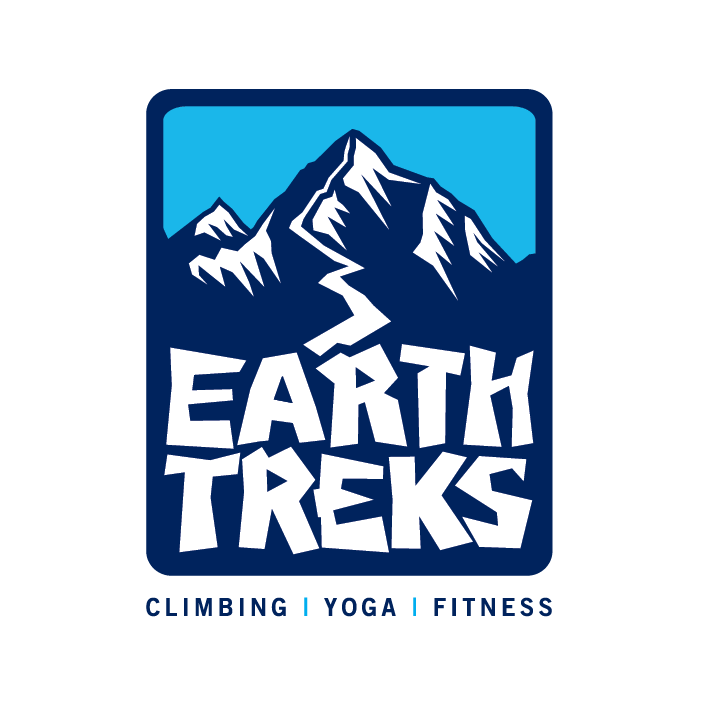 by Chesapeake Climate Action Network, Inc.
Getting started is easy! Trust us. We have some great resources to help you have your best plunge ever! 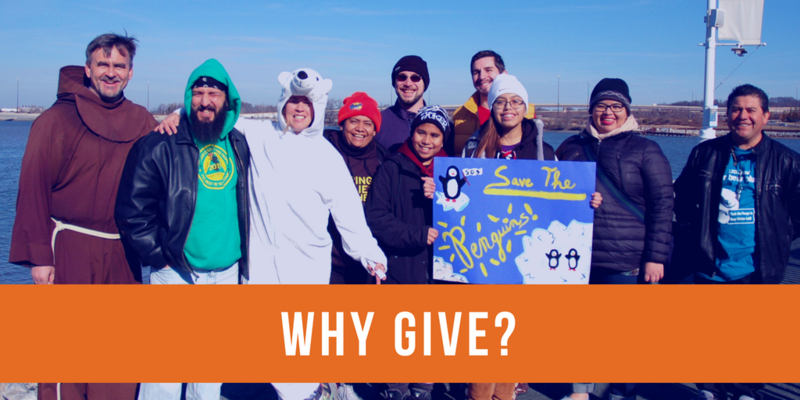 Visit our Polar Bear Plunge Outreach page to find everything you need, including a fundraising guide and a social media tool pack. Wondering where to get started? Check out this video guide from our Plunge Master. I've ever seen, anywhere in the world." 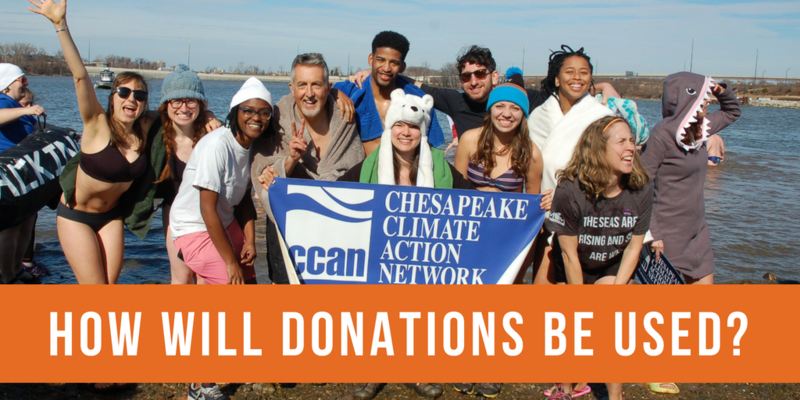 CCAN is a leader in the climate fight in Maryland, DC, and Virginia. Rooted in community organizing, we work with and empower everyday people, leverage strategic organizational relationships, and use a diverse toolbox of tactics to fight climate change in affected communities, especially the most vulnerable. We educate, inspire, and mobilize to develop local climate leaders and advocate for cutting-edge policies that build a more sustainable and just future. Our campaigns go on to serve as models across the region and country for effective and ambitious climate action. With your help, we’re taking back the power from polluters and putting it into the hands of the people. Revolutionary change is underway all across our region on clean energy. We have to push ahead consistently and persistently to fulfill our responsibilities to our neighbors, our region, and our world. It is up to us to provide the climate leadership that our country needs. In 2019, we need to DOUBLE the mandate for wind and solar power in Maryland. We need to block two massive fracked-gas pipelines in Virginia. And right now, we need to show the world that America’s capital city can pass nation-leading climate protection policies. What better act of resistance than to make Washington, D.C. a climate leader, right under Trump's nose? For assistance with technical use of the website, please visit CauseVox's support site. Want to avoid transaction fees? Don't want to pay online? Prefer to donate by check? Send a check made out to "CCAN" to P.O. Box 11138, Takoma Park, MD 20913. Make sure to write “Plunger's Name” on the memo line so we know where to credit the donation. Set your GPS to 141 National Harbor Boulevard, Oxon Hill, MD 20745. This will take you to McLoone's Restaurant, which is right next to the plunge site. 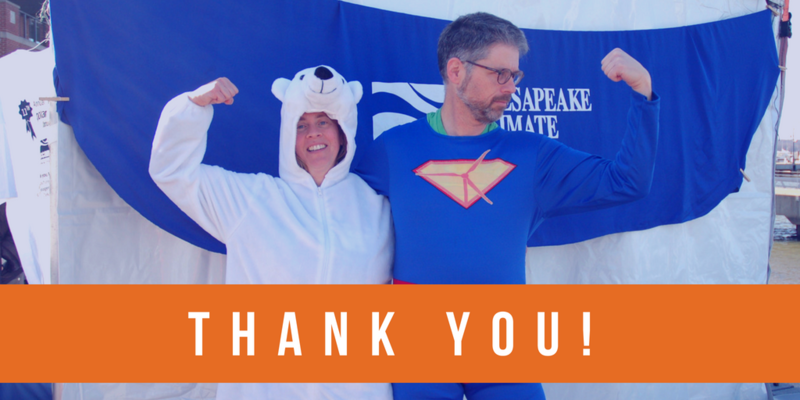 The Polar Bear Plunge is CCAN's largest fundraiser and our signature event, powering victories to move our region off of fossil fuels and on to clean energy. 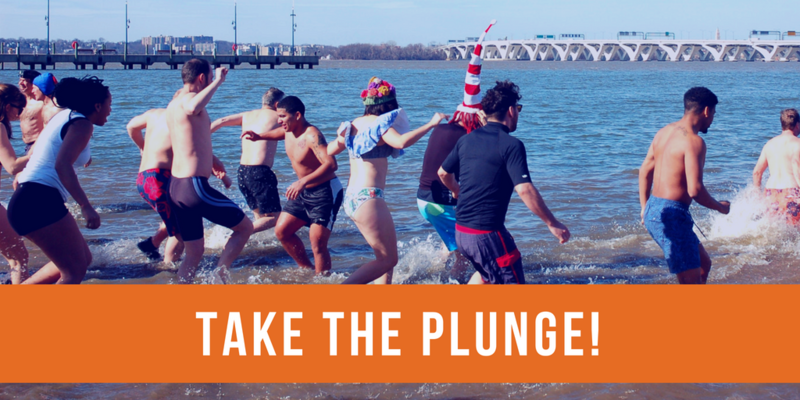 Each year, activists, friends and families show their commitment to fighting climate change by jumping in the icy Potomac River at National Harbor. Register today to take the plunge or gather a team of friends, family, or co-workers to fundraise together. We will give you all the tools and guidance you need to have a fun and successful plunge! 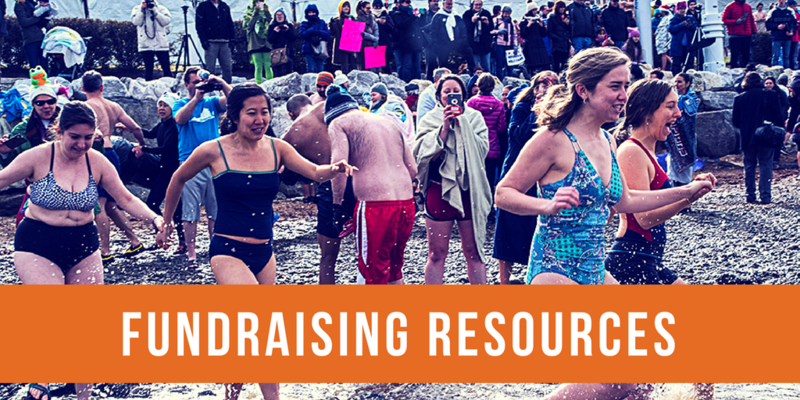 Click to find our Fundraising Guide and Outreach Tool Pack. Interested in sponsoring the plunge? Learn more about the opportunities. Not feeling like a plunge? 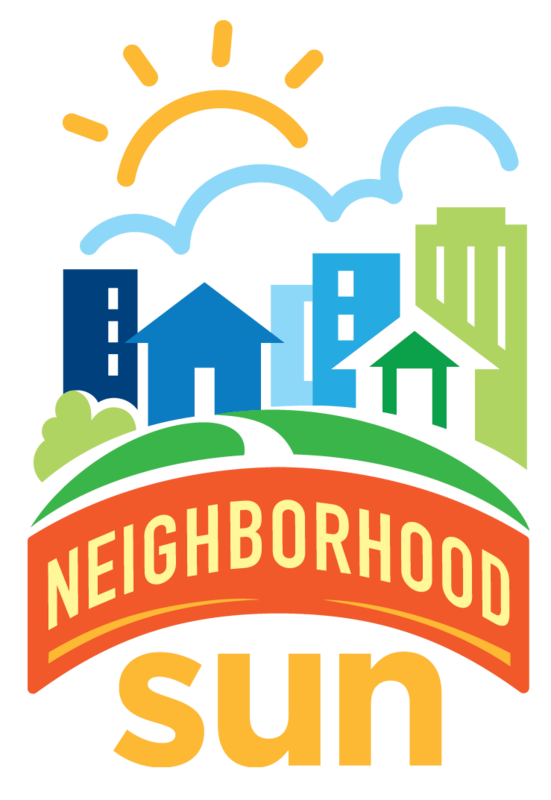 You can sign up to volunteer by contacting Danniele Fulmer at danniele@chesapeakeclimate.org. Participating in the Richmond plunge? Find more details on the plunge on the Virginia Resisters team page. Meet the awesome people who decided to #TakeThePlunge to fuel climate victories! Chesapeake Climate Action Network, Inc.